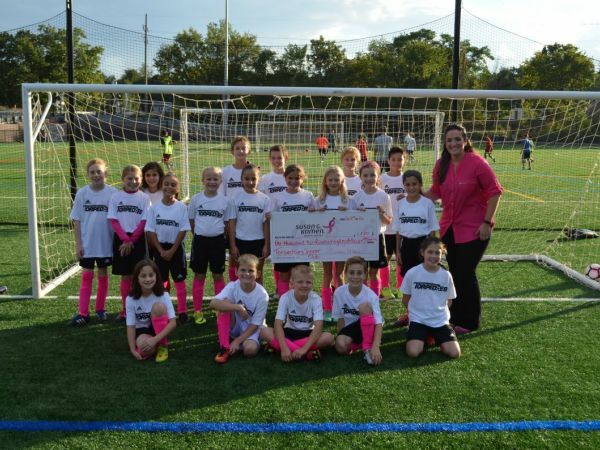 WYCKOFF, N.J. —Dozens of players from the Torpedoes Soccer Club recently raised more than $1,200 for breast cancer research and treatment. Players on the club’s 35 teams purchased the pink socks and are wearing them during games this month, Breast Cancer Awareness Month. The club raised $1,280, said Brian Weis, a club board member. The money will be donated to Susan G. Komen, previously the Susan G. Komen Foundation, a national nonprofit dedicated to helping breast cancer patients and their families. It is the second year the club has sold the socks; more than $2,000 was donated last year when the club sold 375 pairs of socks. Send local news tips, photos, and press releases to daniel.hubbard@patch.com. Get Patch breaking news alerts sent right to your phone with our new app. Download here.